Collects the fruits of a lifetime of study and teaching in search of a holistic, organic, living science. Earth-Friendly collects the fruits of a lifetime of study and teaching in search of a holistic, organic, living science, respectful of the sacredness of nature and the ubiquity of the spirit. As a biology philosopher, Sister Adrian’s first teachers were Aquinas and Aristotle; later she came to know the work of Goethe and Rudolf Steiner. 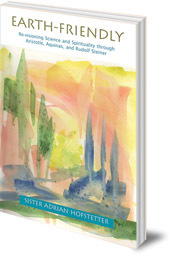 Earth-Friendly traces the development of Sister Adrian’s conviction that 'the spiritual science flowing from the thought of St Albert and St Thomas, as developed seven hundred years later by Rudolf Steiner, could recapture the true greatness of the West as it reaches out to the East to create an "earthfriendly re-visioning of science and spirituality"'. Sr. Adrian Hofstetter is a Dominican nun, science teacher, and civil rights activist.